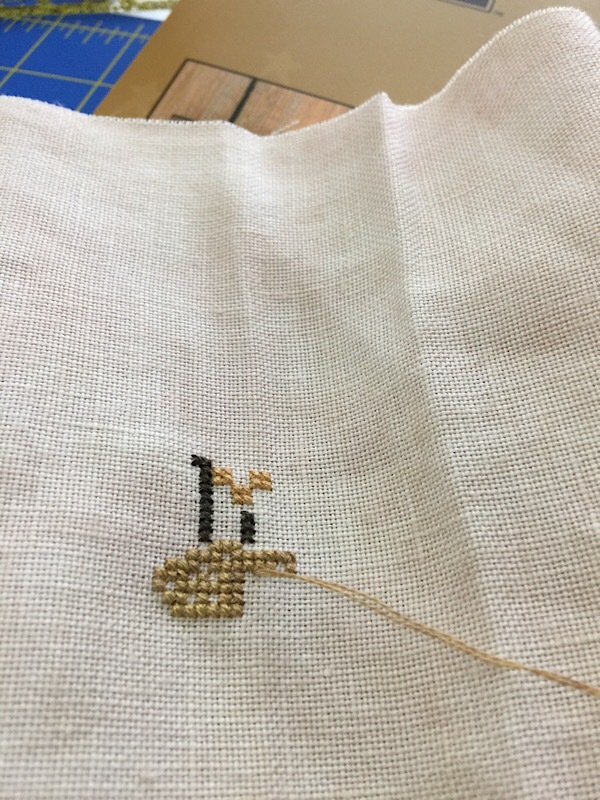 So, in my Day 26 Stitch with Me video, I described this pattern as my first Stitch Maynia failure. One of my viewers disagreed with me, saying that there is no way it’s a failure, since I have had so many other beautiful projects. And she is exactly right. You can see my Day 26 Stitch with Me here. My Day 26 project was Bent Creek’s Summer Row. 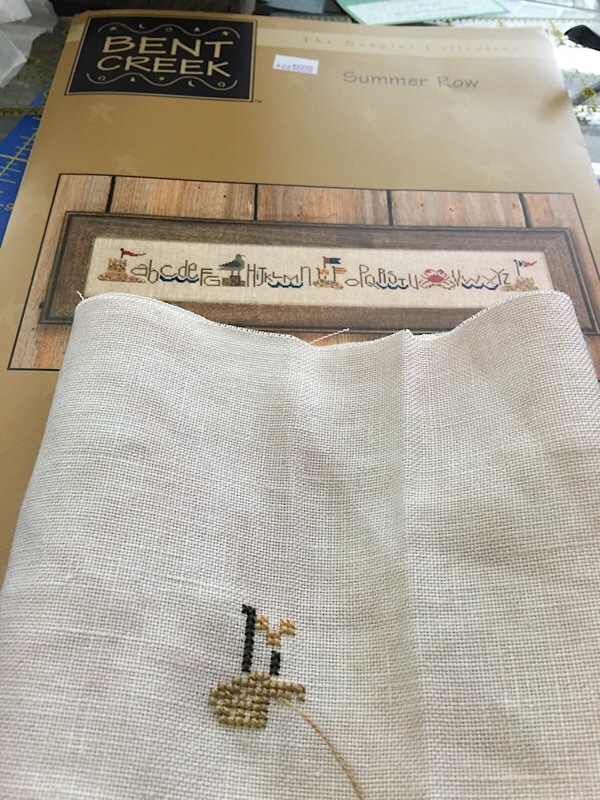 I was looking forward to doing this one because I knew it would be another fairly quick and easy project. 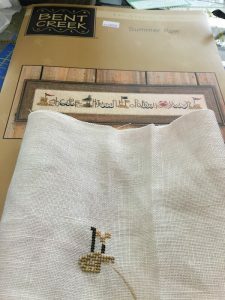 I have seen several people do several of the different Rows over Stitch Maynia and they have all said how quick of a project it is. 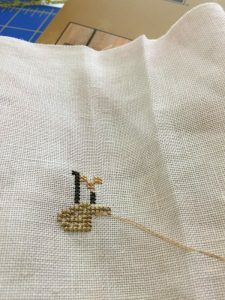 Considering how many projects I now have, and some of them fairly large, I was happy to be starting another quick one. I termed this a failure however, because as I started it, I just wasn’t thrilled with it. I don’t know whether it’s the fabric, the colors in the pattern, or possibly the fact that I was doing two over two. You call know by now that I prefer 1 over two. But anyway, I didn’t pick it up the rest of the day, so whatI had gotten done was only what I had done on the video. I just wasn’t interested. Again, considering how many WIPs I have now, all of which I LOVE, it didn’t make sense to continue with this. This taught me a valuable lesson about Stitch Maynia, though. If I ever do a whole month-worth of starts again, put designs at the end that I’m super-excited about starting. This will help keep me going, and keep me out of the stitching doldrums. Tomorrow, I KNOW I won’t have that problem because tomorrow, I’ll be working on a much-loved WIP. Check back tomorrow to see that!